With a seating capacity of approx. 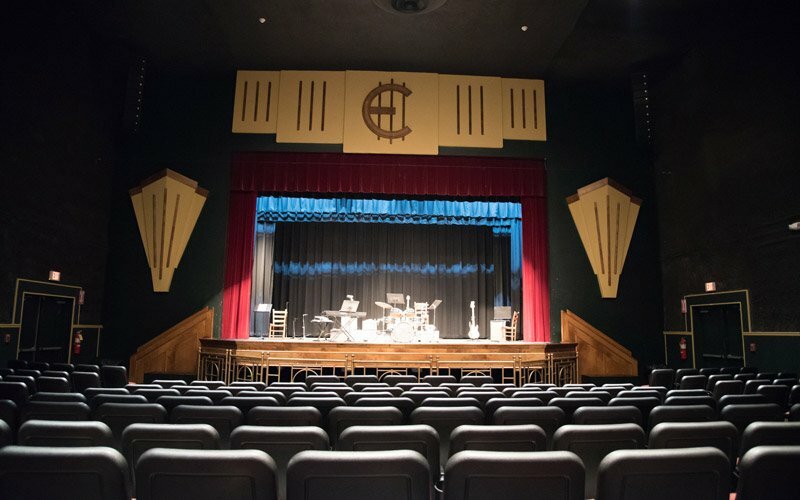 370 (358 house seats, adjustable balcony seats), the Elbert Theatre is a fully renovated, art deco style performing arts facility, conveniently located just off the square in beautiful downtown Elberton, Georgia. 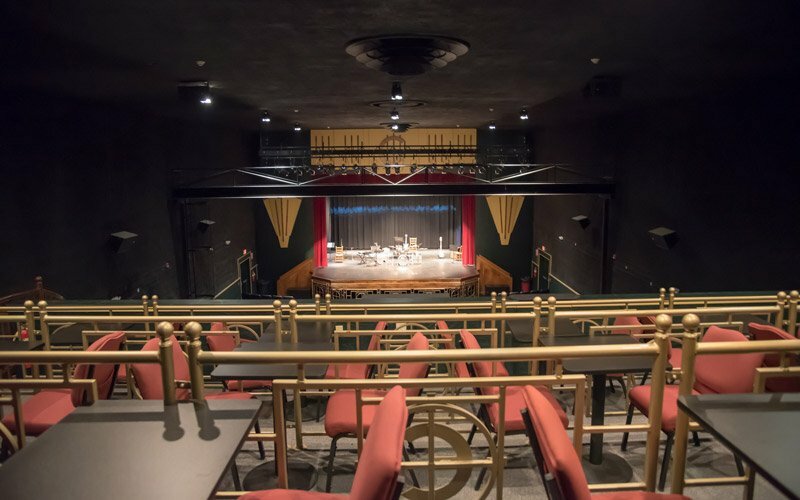 The Elbert Theatre’s stage performing area is 28 feet wide and 20 feet deep with limited backstage and wing space. The stage floor is Masonite, with a plywood sub-floor over a cement pad. A stage level dock provides easy access for load in and strike. 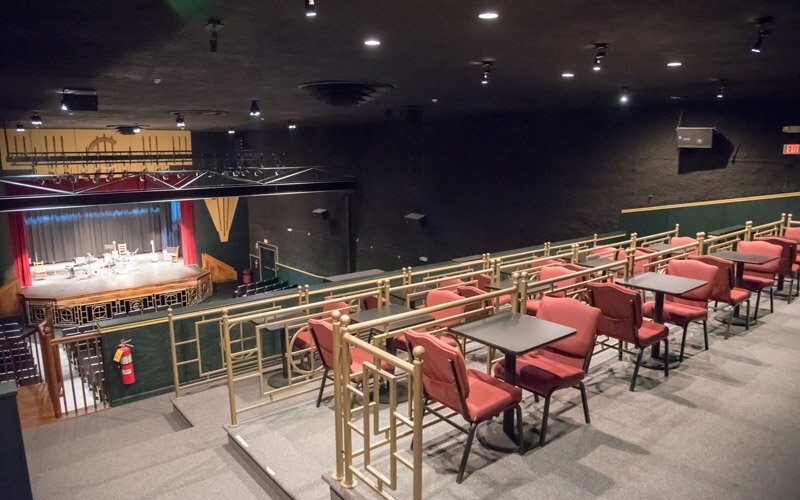 The Elbert Theatre is equipped with state of the art, light, sound, and film systems and knowledgeable, friendly staff to assist in planning and producing your event. 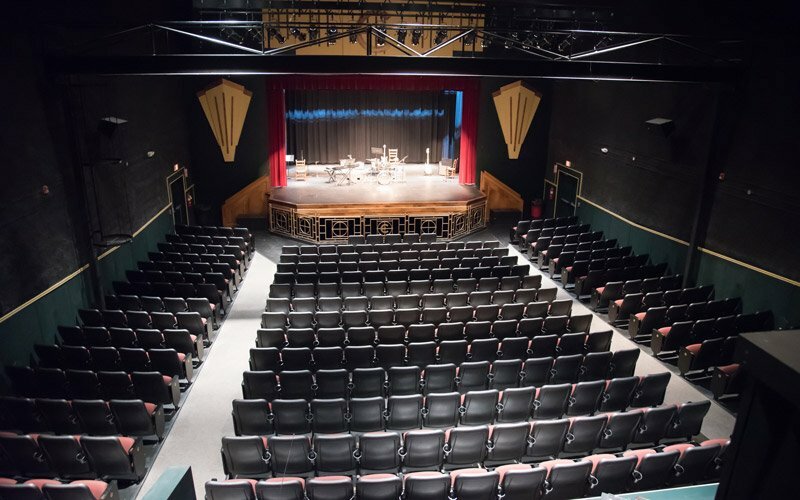 An orchestra pit can accommodate up to 12 musicians. Sound System Lighting System The auditorium itself features raked, continental seating with fixed, padded theatre seats. 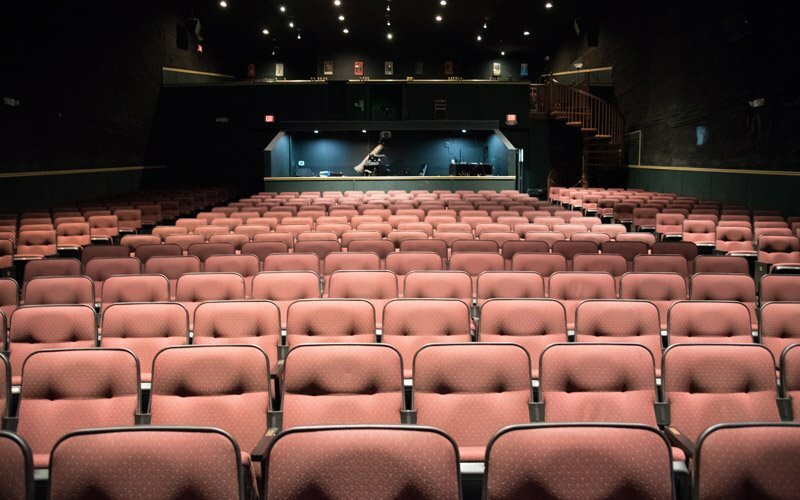 Seating rows are wide to allow for generous legroom. 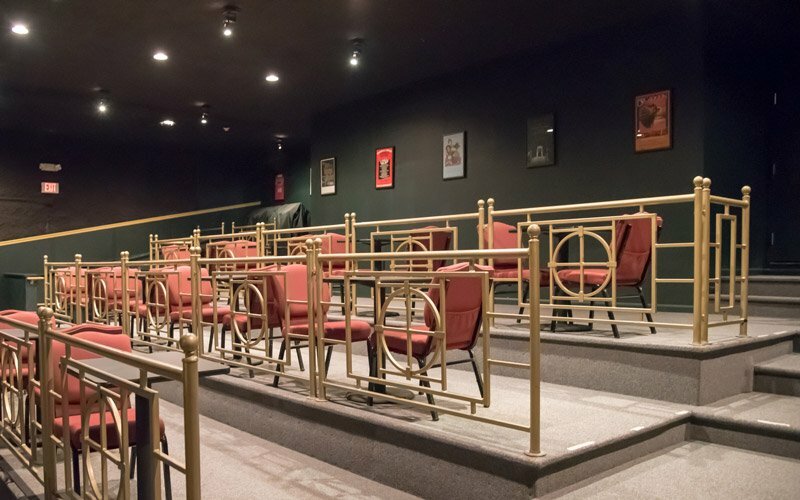 Limited wheelchair seating is available in the front of the house and on the last few rows of the right side of the house (see seating chart). 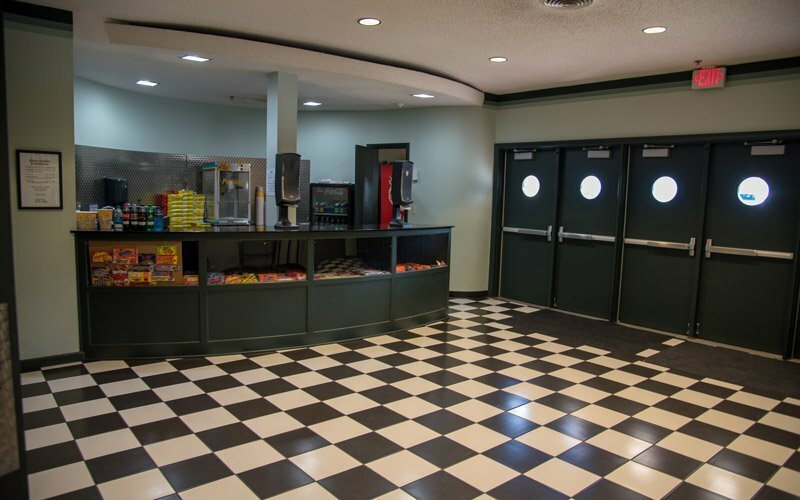 3 The lobby is of comfortable size with display cases for souvenir and concession sales, a granite countertop for food service, a sink with hot and cold water, and ample room for tables. 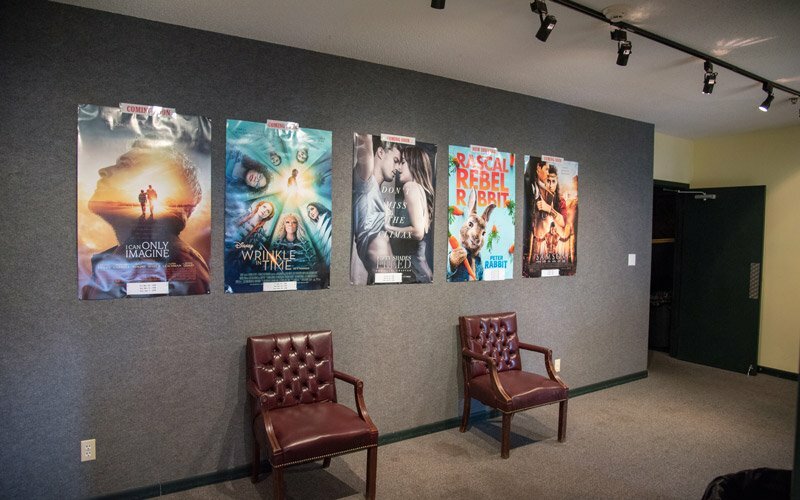 Women’s and men’s restrooms are conveniently located on either side of the vestibule just past the lobby. 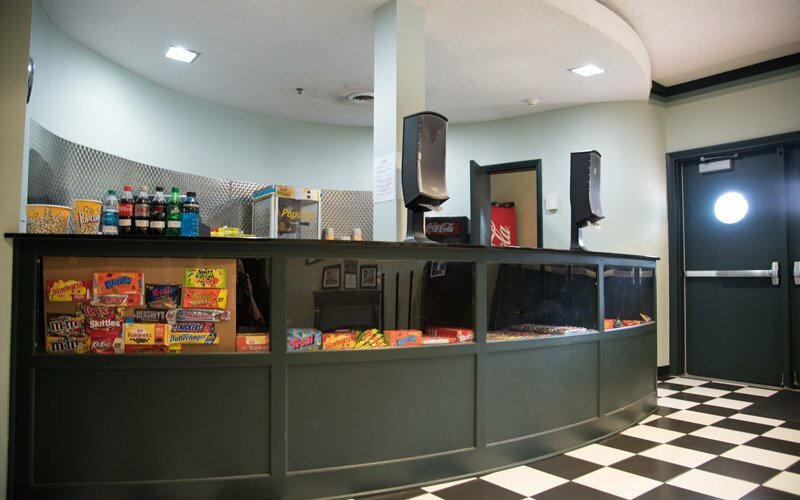 Located off the right entrance to the lobby is an easily accessible box office and ticket window. 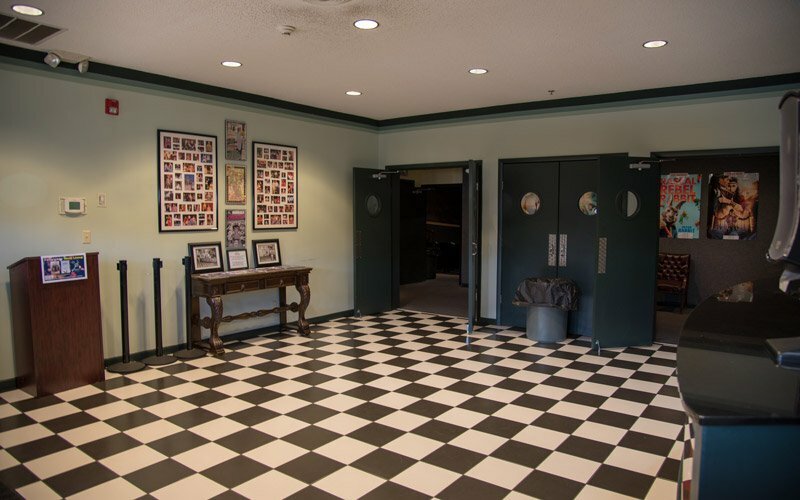 The stage from Balcony Concessions Area Theatre Entrance Theatre Lobby Other amenities include a full basement which can be used as a green room, dressing room and/or properties and set storage.